> 12 MONTHS MOT > FULL SERVICE HISTORY (15 SERVICES ) > CLEAR HPI + MILEAGE CHECK. This low mileage 3.0 V6 Lusso has been really well looked after and is in excellent condition throughout. 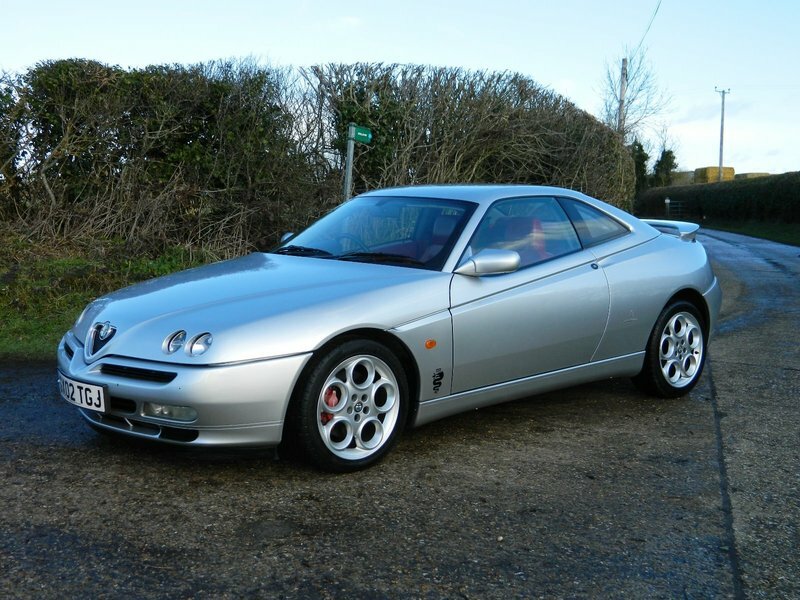 Beautiful car to drive and has great bodywork and a super clean interior. Its just flown through a new MOT and will be Serviced in the next couple of days. When you drive it, there isn't a single squeak, rattle or clonk and the engine sounds superb and you can understand why they say its one of the best sounding engines ever made. Specification includes Full Red Leather Interior, Air Conditioning, Electric Windows and Mirrors, Remote Central Locking, Upgraded Stereo/CD with Aux, Alloys, Front Fog Lights, Multi Airbags, ABS, Traction Control, Alarm + Immobiliser. Car also comes with 3 Sets of Keys, all Handbooks, Tools etc. PLEASE CALL TO ARRANGE AN APPOINTMENT TO VIEW or for further information. Part Exchanges welcomed. Car will come with Warranty and a Free 12 Month AA Membership. Very hard to find a 3.0GTV with such low mileage.